Taylor's is now over 300 years old. 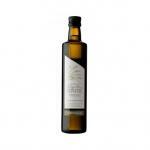 It remains a family firm, completely independent, owned still by relations of the original partners. On the Atlantic coast at Oporto are the ancient lodges where Taylor's priceless ports slowly reach their glorious maturity. High up in the Douro Valley is Taylor Quinta de Vargellas, one of the world's truly great vineyards, comparable in quality to Chateau Latour. In between is the complex network of independent farmers, who have supplied Taylor's for generations, their press-houses and wine making establishments. 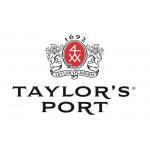 Taylor is accepted by most wine authorities to be the greatest of all port shippers, famous especially for its sublime and long-lived Vintage ports, which consistently fetch the highest prices at auction, and for old, distinguished Tawny ports. But Taylor's is also an innovative house, pioneering the successful Late Bottled Vintage style which has been copied by almost every other shipper. The finest Port is produced from grapes grown on the steep and rocky slopes of the Upper Douro and its tributaries. Vines have been grown on these remote hillsides since pre-Roman times. In the 17th Century British traders, cut off from their supplies of Bordeaux by frequent wars with France, took a liking to the full-flavoured, robust wines of Portugal. Under the Methuen Treaty of 1703, England granted lower duties to Portuguese wines than to those of France and Germany, becoming for over a century the principal market for the wines of the Douro Valley. But these wines did not travel well, so the traders added brandy to fortify them against the rigours of their Atlantic sea voyage. Before long pure grape spirit was added during fermentation and Port, as we drink it today, was created. Among the first of the early traders was Job Bearsley, who by 1692 was a Port shipper and partner in the firm which we know today as Taylor Fladgate & Yeatman. His 4XX (an old woolmark) is still cut into the walls of the Casa dos Alambiques, where Taylor Fladgate have made wine from 1744 to this day-apart from its short break as a field hospital for Wellington's troops. The 4XX mark still features on the company crest, and on every bottle. Now in its fourth century, the company is still thriving, with wine quality remaining the firm's only consideration. Taylor's Port was, is, and will continue to be, one of the world's greatest wines. 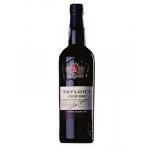 Taylor's is the only Port wine shipper to remain completely independent throughout its 310 year history. 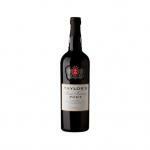 It is still a family run company producing the highest quality Port wines that continue to fetch a premium at auction. Taylor's is distributed in over 54 countries around the world. Taylor, Fladgate & Yeatman has won prestigious awards for their declared vintages. 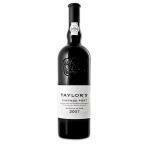 Recently the Taylor 1992 was awarded a perfect 100 points from Robert Parker. 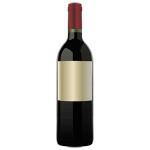 The 1994 vintage also received 100 points and the Top Wine of the World award from the Wine Spectator. Adrian Bridge, Managing Director, is now leading the company confidently into the 21st century. David Guimarãens leads the winemaking team that is responsible for maintaining Taylor's position as a premium Port wine producer.